How many times have you been standing at the cashier paying for your products that you’ve just purchased, when the cashier attempts to sell you a low interest or zero interest credit card from the retail store. Every year many people sign up for these retail credit cards because the interest-rate is zero for six months and they offer points or other benefits from the retail store. These can be great deals if you’re charging your products to your own credit card and will not be paying the credit card balance off on the statement due date. Zero interest credit card which gives you six months free interest is actually a benefit if you’re the type of consumer who would normally pay interest on your own credit card. The danger is that many retail store credit cards charge much higher interest rates than the typical Bank credit card. A Bank credit card will charge approximately 19% on any unpaid balance on your credit card. Retail stores who offer credit cards typically will charge between 25% to almost 30% on any unpaid balances. This is a much higher interest rate and much more expensive for anyone who carries a balance on their credit card. Regardless of whether you have 18% credit card or a 25% or 30% credit card consider consolidating your debt into a personal loan at much lower interest rates. If you have good credit ratings you should be able to find a personal loan somewhere in the range of 5% at the current time. Even if you have a bad credit rating a 10% interest-rate personal loan is still much better when you have a balance on your credit card at the 19% or 30% range. This is the danger of those retail stores that offer retail credit cards to consumers as they are passing through the checkout line. Consider carefully also the impact on your credit rating as you sign up for more and more credit cards. The debt or potential debt that you may have from credit cards and your name will lower your credit rating and make it more difficult to obtain personal loans at a competitive interest rates. 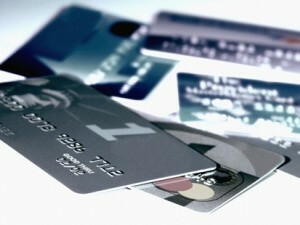 For more posts about credit cards and interest rates, click here. Credit card accounts are very easy to obtain these days. It seems like every other day I am receiving a new credit card application. I have been pre approved and all I need to do is fill it in. Just send it to the company to receive a new credit card. The trouble with having many credit cards is that you have a lot of potential debt that could be charged to these credit cards. Credit rating agencies take a dim view of people with many credit cards. In fact they will lower their credit rating and this will impede them from being able to find low interest personal loans, and low interest mortgages. This is something that everyone should consider before they fill in all of these applications for low interest credit cards. Low low interest credit card accounts do not stay at low interest rates for any length of time. Most low interest credit cards have a grace period, where the interest is in fact low for unpaid balances. Once this grace period is over, the interest rate reverts to the typical 21% range for most credit cards. If you still have unpaid balances at this time the interest will be much larger. Always try to pay your monthly balance in total on the due date each month. Pay your monthly bill on the due date to avoid any interest charges at all. Even if you pay all of your account on the due date less even one dollar, this will trigger interest charges on the full amount that you hold on your credit card. Even a small mistake where you fail to pay the total amount will cause this interest-rate to be charged. It is very important to make sure that the due date is met as well. For example if you missed the due date by even one day, interest will be charged. You will pay interest on the full unpaid balance from the date the amounts were charged to the card until you fully pay the remaining balance. Any new charges will also be charged to the credit card and will be charged interest as well. This is how they make their millions of dollars every month on unpaid balances from customers. Always make sure you have sufficient money in your bank account to pay the monthly bill for your credit card account. Pay it in total to avoid interest charges. Pay it in total even if you have to take a personal loan from the bank at 5% or 6% range. This would be better than not paying the credit card balance at the end of the month. For more ideas about what to do about credit card interest rates, click here. 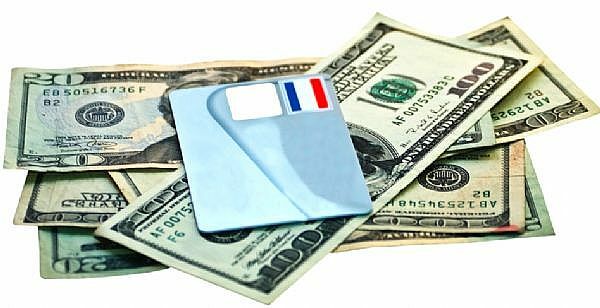 We all use credit cards and in fact many of us have more than one credit card. In fact the average person will have 3 to 4 credit cards. Most of us will pay the balance off each month on the due date. The credit card companies do no make much money from us. They collect two to 3 percent from the store where you make your purchase. That is all they will make from customers who pay their balance completely every month. It is a much different story for those customers who who cannot repay the full balance each month. The credit card companies make a lot of money from these people. They charge them a very high interest rate. 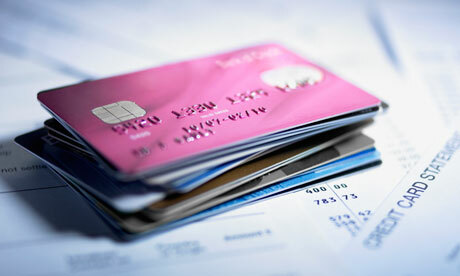 Most cards have a rate of between 18% and 20% charged on the unpaid balance. 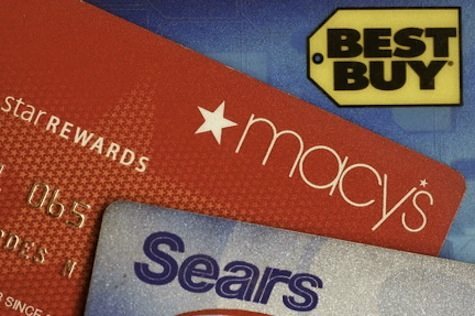 Store credit cards charge as high as 29%. There are some companies that charge lower interest rates. However there is usually a catch to these cards. Either there is an annual fee or they give you a grace period for 6 months. Then the interest rates revert to the normal high interest rate. The first thing we want to say is that you need to read the fine print in the agreement to truly understand how your credit card charges interest. You may want to talk to someone to have them explain it to you. They are all slightly different and although we will give you a general explanation, we are urging readers to consult with their credit card company to confirm how interest is calculated on the unpaid balance. No interest is calculated provided that you pay the full balance on your card by the due date. If you are even one day late interest will be added to your balance and you will be surprised by the amount that you are being charged. If the unpaid balance is not paid, interest will be charged from the date all items on your statement were initially charged to your card. You have lost the 20 days grace period and are now paying interest on everything until it is fully repaid. New charges to your credit card will also be charged interest from the day the item was added to your account until you no longer have a balance on your card. Interest will be calculated on the daily balance of your credit card and it is compounded which means you are paying interest on interest. This can get very expensive. Interest will be calculated and charged until the date that you fully repay the balance on the credit card. Credit card statements always show the minimum payment that you need to pay by the due date. They want you to pay this amount since this guarantees that your interest costs will be maximized and it will take years for you to repay your balance if you stick to this rate. Always pay the maximum you can afford to pay as soon as possible to minimize the interest charges. This is an extremely expensive loan and many readers will benefit from debt consolidation loans if you cannot repay your credit card balance any time soon. 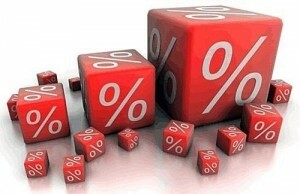 For more articles on credit card interest rates, click here. The only thing worse than they already high credit card interest rates, are the short-term payday type loans. 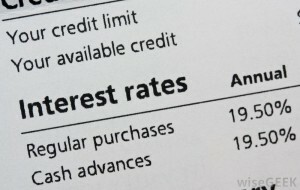 Credit card interest rates start at 18% with some rates going as high as 28 or 29%. If you can avoid using either credit cards as loans or payday loans you can save a great deal of money. The best bet is not to borrow money using credit cards. When using a credit card make sure you have the cash to pay the credit card balance at the end of the month. Most credit cards work as follows. There is no interest charged on the bills up until the statement date. If you pay the balance at that point in time then there will be no interest charged on any remaining balance. However if there is an unpaid balance that exists after the due date then interest is charged. It is charged on the full amount of charges from the time when they were charged to the account. And interest will be charged until such time that the full amount is repaid in total. Note that new charges to the credit card will immediately begin accruing interest as long as there is an unpaid balance on your credit card. This can add up very quickly in interest charges to your account. Many consumers wonder why it is taking them so long to pay off her credit card balance. In many cases they are only paying the minimum payment required each month. The reality is that if the minimum payment is $100, approximately $90 will be interest charges, and $10 will pay off principal. At these rates it will take a very long time for you to pay off your balance. This is assuming that you do not accrue new charges to your account. In reality most people are continuously charging to their credit card. The interest will continue to build up very very quickly. Before you know it, your balance will be at the maximum and growing because of the increasing interest charges. There is always talk by the politicians about lowering interest rates on credit cards, however the reality is that credit card interest rates are never going to be lowered unless there is some competitive pressure for rates to come down. In fact over the last 5 years, regular interest rates for investments and the best lending rates have been at historic lows. During this time frame, credit card rates have not budged. Sure there are some credit card products that offer low rates for 6 months on balance transfers. But then the regular credit card rates will kick in on any unpaid balance that is on the account. The politicians make a lot of noise about placing pressure on the credit card companies. But that is all it is, just noise. They are just trying to look like they are doing something for the consumer and when they have received the publicity they are after, they quietly move on to other topics that are more news worthy. In actual fact they never had any intention of doing anything to lower credit card rates at all. They know this and the credit card companies know this. They cannot or will not really do anything about it for a variety of reasons. There are also some credit card products that do offer lower interest rates. However there is usually an annual fee that is charged in conjunction with these credit cards. Which brings the effective rate right back to the same rate. Or in some cases higher than a regular card with no monthly fee. Consumers should really do the math on these cards before they apply for and sign up for a new credit card. If you really do use your credit card a great deal and use some of the benefits that it provides, then maybe paying an an annual fee will be worth it. The politicians regularly investigate lowering interest rates on credit cards. This is a great political thing to do, but in the end they usually do nothing except make a lot of noise about the investigation and nothing changes. Most credit cards will give you a grace period of one month if you purchase something right after your monthly bill is calculated. This assumes of course that you pay the monthly balance in full on the due date each month. If you do not, interest is charged on the full balance including the amounts you charge during the month. All this can get very expensive with interest rates in the range of 20% for most cards. If you can pay the full balance each month, then it is an interest free loan to you every month which can be quite valuable and convenient for many people. 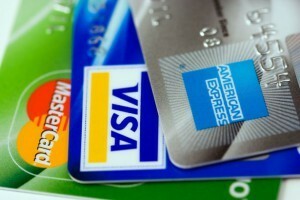 Another point to consider is the number of credit cards that you have. We know that lowering interest rates on credit cards is not something that is going to happen. So really you only need one or perhaps two credit cards at the most. The writer has two cards mainly for emergency situations. Several times we have had our card declined for no fault of our own. Once the credit card system was down for one of our cards . No transactions were being processed, so we used the other one. Another time our credit card was compromised. We had to have it shut down by the bank. We were traveling at the time. Fortunately we had a second credit card to use to pay for travel expenses. We think that managing your credit card balances and paying the full balance in full on the due date is the most effective way of controlling your interest rate costs. Also effectively lowering interest rates on credit cards for us. Anytime you have an unpaid balance past the due date for your statement, consumers are going to be charged at the high rates that credit card companies charge. Try to avoid paying these high interest rates. It just makes your purchases even more costly. Is there any such thing as low credit card rates? Low credit card rates do exist in various forms. However consumers must be very careful about the terms and conditions associated with these cards. The most popular is the situation were a new credit card is offered to you. You are also offered no interest or low interest on any balances transferred to this card for the first six months. Sounds pretty good doesn’t it? Particularly if you are already carrying a balance on another credit card and paying 18% or more on that balance.. You get in effect a low interest loan for a short period. You save the interest you would have paid on another credit card which was probably at the usual rate of 18 to 20% interest. This will work well for many people who are then able to repay this amount that was transferred within the specified time. If you do not, the rates revert to the regular credit card rates of 18 to 20% on the full unpaid balance. You have been able to save some interest. But then you are right back where you were a few months ago. The only way to get out of this circle is to really pay the balance back. Avoid paying interest at these high rates. Some credit cards with low credit card rates also come with either a monthly fee or an annual fee. This is in effect adds cost to the money borrowed and replaces the interest that you have supposedly saved. These annual fees can be as high as $100 or even more every year. Credit cards that charge for their services usually come with other benefits as well which some consumers find very useful and valuable. Benefits such as car rental insurance, health insurance for travel, travel insurance, insurance on items purchased are just a few of the benefits that many consumers value. One area that many people really do make use of is the points that they accumulate over time. These points can be used to buy things, pay for flights or hotels and even entire vacation excursions. Depending on how much you use a credit card, these points can really add up and become quite valuable. Do the math and make sure that you are receiving sufficient benefits from the credit card before signing up for one with an annual fee. Make sure that you also use them as well to ensure that you actually gain this benefit. Before you apply for a credit card check all of the benefits. Evaluate how much or how valuable these benefits are to you. Take the time to think about how and whether you will actually use them or not and then what the value is for you. Your decision will determine just how low your low interest credit card actually is. Another factor to consider before applying for or accepting a credit card offer you have received is the impact that adding a credit card will have on your credit rating. Every time you add a new credit card, you add more potential debt since the credit rating agencies assume that you will use that credit at some point. The greater the potential debt and the greater the potential monthly payments compared to your income, the lower your credit score is going to be. We have seen people with no real debt, everything is fully paid up, but they have five to ten credit cards. Their credit is in the toilet even though they do not owe a thing to any of them. They pay their credit card balance in full at the end of each month. This is a sure way to lose your credit rating. Which will make it very difficult to find a competitive loan when you do need a car loan, a mortgage or a personal loan for whatever you are planning. We suggest that you try to stick with two or three cards at the very most. So be careful when you accept a new credit card and understand what it will do to your credit rating! For more information on credit card interest rates and more, click here. Interest rates on credit cards seem to surprise many consumers at the just the wrong times. Most people know that the interest rate is higher than most personal loans and that it makes really good sense to pay off the balance each month to avoid these high rates. The reality is that they sneak up on us and suddenly it is the end of the month. The total amount is due at that time, the due date, if we want to avoid triggering any interest. You cannot even be one day late or they will charge interest on the entire amount for the past month. Always pay on time! Unfortunately we do not have the cash ready to repay the full balance and we resign ourselves that we will have to pay interest on the unpaid balance. This is only part of the bad news. Actually we will have to pay interest on this unpaid balance, plus on anything we charge to the card in the coming months until the balance is fully paid. Some cards will hit you even harder. Even though you may have paid some of the amount that is owed, the interest charged will begin from the time when you first charged these items to your card including what you paid off. At 18% for regular cards and at 28% for department store credit cards, the interest charges can build up really fast. There are many credit cards available these days from many different companies. They all have a twist on what they offer. Some will vary the interest rate they offer and even lower it for some temporary period of time. In turn they may charge an annual fee. They may also provide a grace period for any amount of money transferred to them from another credit card. The interest rate charged on unpaid balances is really the number that all consumers should focus on. This is the amount of money they are going to take from your pocket when they charge you for that unpaid balance. They also will add a number of other benefits that many people may find attractive, however if you are unable to make use of these benefits, then they really are not that valuable. If these benefits are valuable and you are able to take advantage of them while paying the balance off each month, then you may be receiving real value for the card that you applied for and received. When you are deciding which card to apply for, make a list of the features you are looking for and compare these features to choose the one that makes sense for you. Weigh this decision against the interest rate charged on these credit cards to make your final decision. Most people will give much more weight to the interest rate charged, however as we mentioned, if you have the discipline to repay the credit card each month, your decision may be made based on benefits alone. Most people would suggest that the credit cards from department stores should be avoided. As we mentioned previously if you have the discipline to repay the balance in full each month, these cards can actually save you money at times. For example if you purchase furniture and the department store gives you six months free on your credit card from their store, then you may have a really good deal. Again, at the end of six months you really must have the money to repay the balance to avoid really hitting interest rates on these credit cards. Don’t forget that some companies also charge annual fees regardless of whether you use the card or not. This charge really increases your effective interest rate whether you have an unpaid balance or not. These cards sometimes have much lower interest rates for their unpaid balances. But then they make up for it by charging an annual fee. The annual fee can be as low as $30 and as high as $100 or more. This can be substantial for some people. You really have to evaluate whether it is worth it or not to pay these annual fees or not. 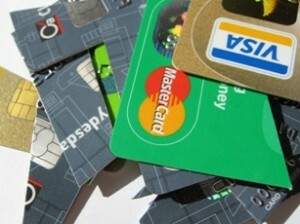 Consumers can also have too many credit cards. Sometimes this will negatively impact your credit rating making it more expensive to obtain personal loans and mortgage loans. Before applying for a new credit card give some thought to what the impact will be on your credit rating. Also review the interest rate charged. 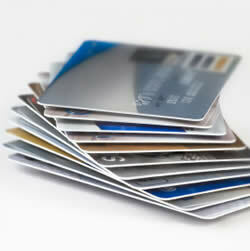 For more about credit card interest rates, click here. The highest credit card interest rate is somewhere around 28% or 29% depending on which department store you have a credit card with. These department stores often advertise no interest or low interest for some defined period of time. They often do this when you purchase furniture. Once this time frame is over, the full interest rate is applied to any unpaid balance that may remain on the credit card. This is a very high interest rate when you compare to personal mortgages that are below 5% at the time of writing this post. Personal loans carry a higher interest rate which depends on the credit rating of the applicant and whether the loan is secured or not. Most bank credit cards range from 10% to 18% depending on the type of card, whether there is an annual fee or not and whether there are other benefits that are included with the credit card. Most store based credit cards do not offer additional benefits unless it is specifically with the store. They focus initially on making the sale for the item you are buying and then focus on providing you with a credit card to charge it to with free interest for some period of time for the first purchase. Store credit is very convenient especially when you may be purchasing large items such as furniture or appliances. Consumer s may not have sufficient credit limits on their current credit cards and when the store offers them a credit account with a credit card to purchase the appliances etc, most consumers will jump at the chance. They may not realize and they probably will not have it explained to them at the time about the high interest rates. The store management already know that a certain percentage of customers will not pay the balance in full at the end of the month. They know that they can start charging these high interest rates and make even more money off this unsuspecting consumer. Rates that are this high, upwards of 28% have a huge interest component each month. When you do get your bill there is always a minimum payment specified. This payment will consist of interest that you owe for the month plus a small amount of the principle. A small amount of principle paid each month. It will be years before your credit card is paid in full. Consumers will have paid thousands of dollars in interest to the store credit card company. This is actually what they are counting on so they can make more money off of each consumer. In fact they will make more profit off the interest charged to consumers than they do for the products they are selling in some cases. They are counting on you not to pay the balance when it is due. They want you to start paying interest on that unpaid balance. As we mentioned this is what they would prefer their customers to do so they make more money on the interest. Even if you have to take out a personal loan, increase your mortgage or find the money somewhere, consumers would be further ahead borrowing the money to pay these credit cards in full at the end of the month. They will still pay interest. However paying 10% for example compared to 28% is almost a third of the cost. This represents a substantial savings for the consumer. These savings can be applied to the loan enabling consumers to repay the loan much faster. Consider a personal loan, a secured loan or a mortgage consolidation loan to repay your high interest credit cards. You will save thousands of dollars. Even if you have to pay appraisal fees, or other expenses within reason of course, you will be further ahead. Ask your financial loan manager to help with calculation of the savings. Determine just how much you will save by taking this approach. You will be amazed at the savings that are possible. You will have more money available to repay the debt that you owe as well.